Get inspired by our latest client custom clothing arrivals from our Instagram Highlights. We create your look and handle all the details. You live in the moment. 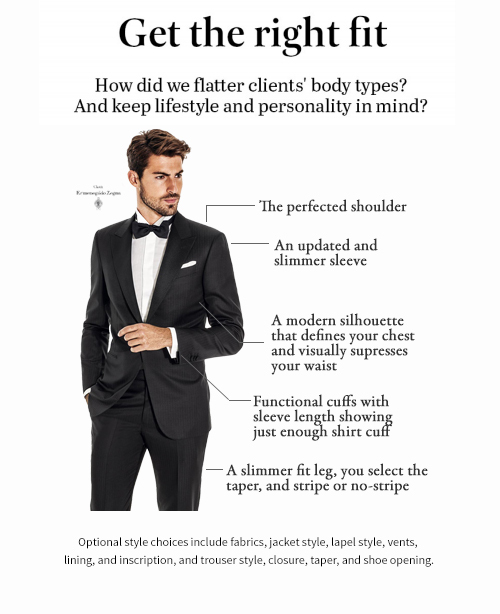 A Perfect Fit from an experienced team with the best Italian fabrics: Zegna, Loro Piana, & more. 1 Wedding Tuxedo or Suit, 2 Egyptian Cotton (Tuxedo) Shirts, Silk Tie, and Pocket Square. discounted custom tuxedos, shirts, or accessories for your Groomsmen. You enjoy every moment, we've got the details. Optional - Learn how to tie a bow tie!